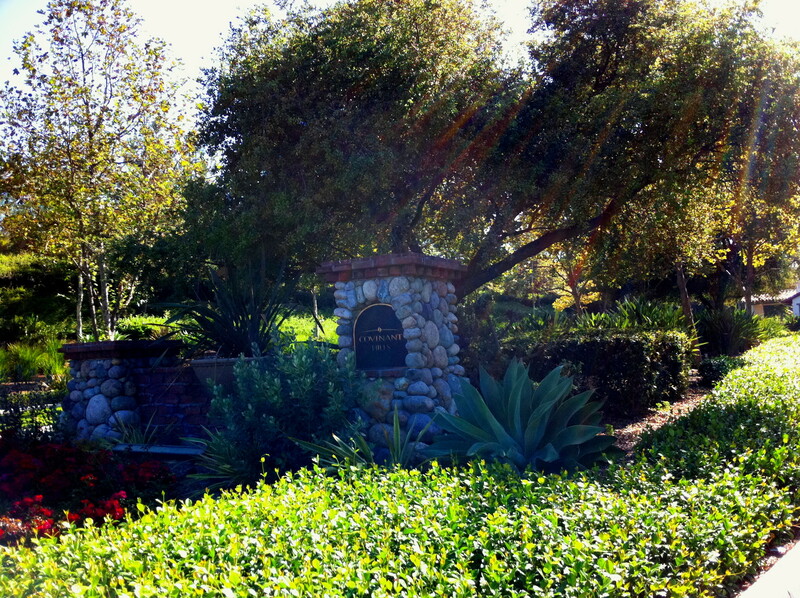 Covenant Hills Village is the prestigious and exclusive, only neighborhood in Ladera Ranch that is 24 hour guard gated. This is, a community of upscale homes and includes multi-million dollar luxury estates that enjoy a private Clubhouse with pool and tennis courts in addition to all of Ladera Ranch ammenities. Covenant Hills Homes at Ladera Ranch is also the only community in Ladera Ranch where custom or semi- custom homes can be found. There's two entrances into the Covenant Hills neighborhood: one off Antonio Parkway and Covenant Hills Drive and the other within the Ladera Ranch community off Covenant Hills Drive and Sienna Parkway, connecting Covenant Hills with the rest of Ladera Ranch. Covenant Hills is created out of thirteen tract neighborhoods, one condo complex and one that is all custom homes. The tracts are Alisal, Amarante, Arboledo, Bellataire, Capistrano, Castillina, Encantada, Las Piedras, Meriden, Montanez, San Donato, Segovia, Sherborne, and Skye Isle. These neighborhoods were built by reknown builders, like Standard Pacific, William Lyons, The Warmington Group, John Laing and Shea to name a few. Below you'll find all Covenant Hills Homes at Ladera Ranch listed for sale in the MLS and you can follow the link on the properties for more information about the area or the Covenant Hills homes characteristics. We also have all listings on Covenant Hills Bank Repos or Foreclosures. Read more about the Covenant Hills Real Estate options available or expand your search to view all Ladera Ranch homes for sale.Whether you are a first time homebuyer, or someone looking for the ultimate in luxury living, you will find your home in family-friendly Ladera Ranch. New build and like no other home you will ever find - unsurpassed construction quality down to the finest of details gives this home MYSTIQUE! COME AND EXPERIENCE! NEW Construction, never been lived in Homesite 55 of the Artisan Collection by William Lyon Signature Homes. Located near the end of a short cul de dac this home is breathtaking from your very first step into the dramatic entry foyer. Circular stair featuring wood treads and risers with wrought iron pickets and arched openings. Interior walls and ceilings feature subtle "cat's eye" texture. Plank flooring upstairs and downstairs. Homes in this gated community were built during the early 2000s and some custom homes have yet to be built, and custom lots are also still available. Prices in the community range from the $700,000s for a high-end townhome to over $5 million for a custom home. Covenant Hills tract homes typically are priced from the high $800,000s to the mid $1millions. The real estate in this community offers 3,000 to 8,000+ square feet of living space, 7,500 to 25,000 square foot lots and many different features, amenities and floor plan offerings. Residents living in the Covenants Hills gated community enjoy access to the Covenant Hills Clubhouse with a pool and tennis courts in addition to all of the Ladera Ranch amenities, such as the many parks, pools, five clubhouses in different villages, seven interconnecting trails that take you to naturen Orange County, Covenant Hills offers custom lots for sale, that offer panoramic views of Saddleback mountains, and some even offer ocean views. These lots range from about 8000 sq ft, to over 30,000 sq ft. All plans for homes in Covenant Hills of Ladera Ranch must be approved by the Ladera Ranch Design Review Board and like any other properties in Ladera Ranch , when purchasing a home in Covenant Hills, there's a 'enhancement fee', which is 0.25% of the purchase price. Schools from the Capistrano Unified School District serving Covenant Hills are: Oso Grande Elementary School, Ladera Ranch Middle School and San Juan Hills High School.different neighborhoods, schools ( excellent public school system by CUSD and also great private daycare, preschool, elementary and middle schools), and shopping centers. 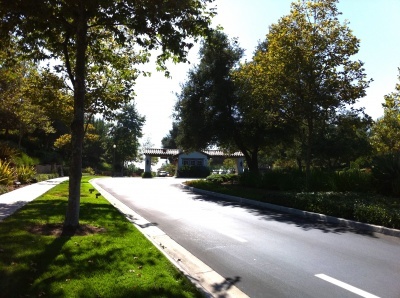 Within Ladera Ranch, residents have high-speed Internet throughout the entire community already set up in all the homes, and online access to different activities and the news in the community like garage sales, concerts, etc, via the private Ladera Ranch owners website: Ladera Life. Ever since it started construction, Ladera Ranch has been known for being an upscale and innovative master planned community, and some would say there's no other that can top it in Orange County. From mom groups by kids age, to summer concerts and the famous holiday activities and neighborhood contests, Ladera Ranch is dream neighborhood. It's close proximity to Mission Viejo and the Mission Hospital and CHOC, the Shops at Mission Viejo, and incredible easy access to the 241 toll road, make Covenant Hills an ideal place to call home. OCExecutives specializes in real estate transactions in Ladera Ranch, CA including Covenant Hills, Contact us today to sell real estate or buy real estate in the different communities of Covenant Hills or for more information about any of these foreclosures. If you would like to see a list of homes in other communities in Ladera Ranch, follow the links above, or click here for other Ladera Ranch Real Estate options.